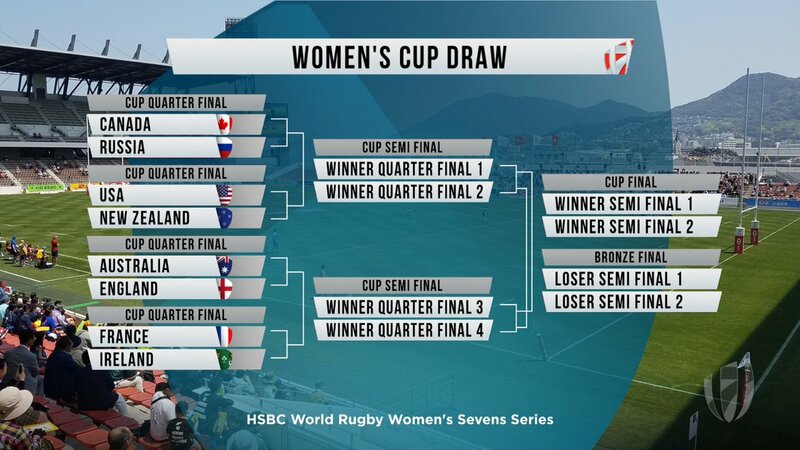 The Japan Women's Sevens at Kitakyushu is this weekend. Japan will be the wildcard team. As part of the Sudamérica Rugby Women's Forum, Asunción will host a women's sevens tournament on April 27-28. Yes and to make it clear: it is NOT the 2019 South American Women's Championship (that will be in June in Lima, being the Olympics Qualy too). Sylke Haverkorn, who coaches the forwards for Dutch team DIOK, has accepted a position as coach of the Turkish women's 7s team for the upcoming European Trophy. This comes after she led a training weekend in Ankara. 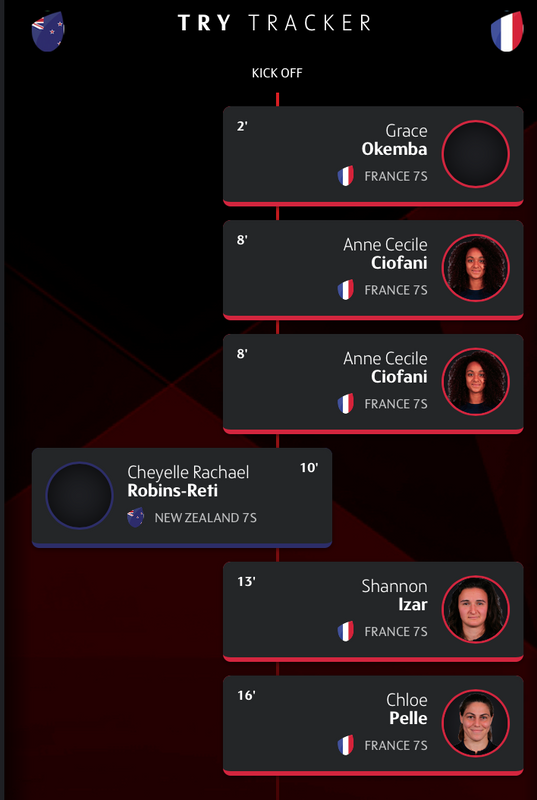 Anne Cecile Ciofani from France scored two tries at minute 8 of the match vs New Zealand: must be a world record! 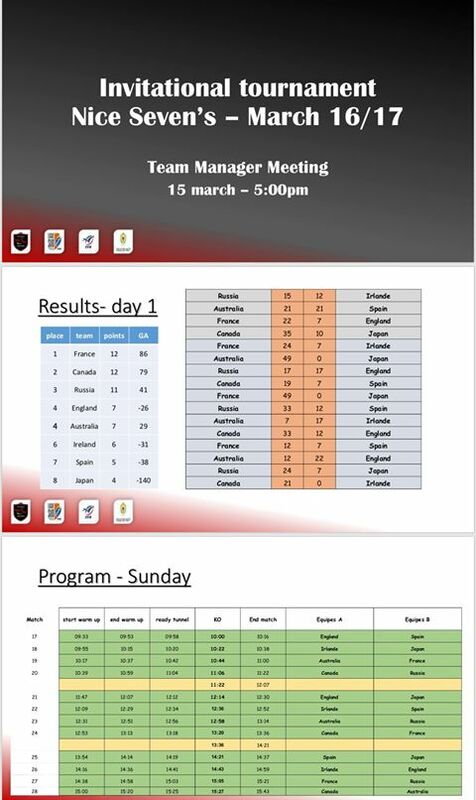 Invitational tournament Bonn 7s with 6 Teams, April 26th and 28th. And GOOOOO they went. With England beating Australia in their quarter final it left the unusual sight of NZ playing Aus in the 5th place playoff. Canada won a very tight final 7-5 against England, scoring a try two minutes after the hooter after a knock-on which the ref didn't spot. Europe still looks destined to have no teams in the top 4, meaning one less Olympic spot I think.